I've been a fan of Weleda for many years. I even visited their premises in Heanor for a funday about 20 years ago. The company started out as a pharmaceutical laboratory in 1921, and this medical background underpins their Organic, natural, sustainable and holistic products which care for your body, mind and soul, and your environment. Back 20 years ago I had some joint problems and the Arnica Massage Balm was invaluable. 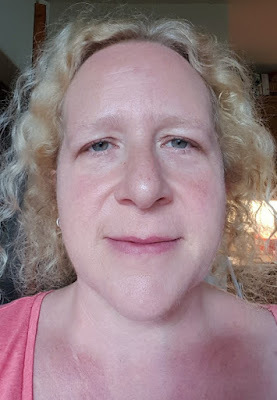 Over the years I have made good use of Weleda hayfever and sleep (Nux Vom) homeopathic medicines, and their Bath And Body Oils are truly relaxing. Although I'm kind of beyond 'baby products' now, the Weleda Calendula Nappy Change Cream is still the household favourite 'sore cream' for underarms, rubbing wellies, chafed feet or anywhere else it might be useful. 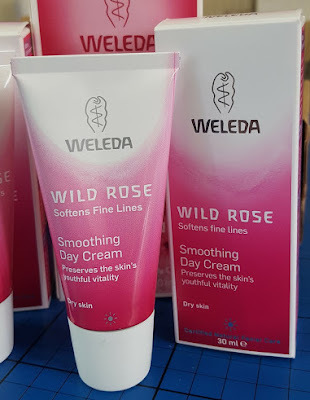 Weleda have sent me 3 complimentary products to try from their Wild Rose range - the Smoothing Day Cream, Smoothing Night Cream and Cream Bath. 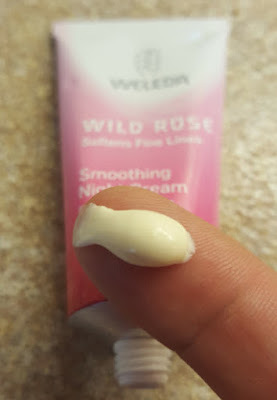 This is the first time I've exclusively used Weleda Face Care, and I have been really pleased with the results. I struggle with a very poor sense of smell, so a lot of things tend to smell like cleaning products or dirt to me. 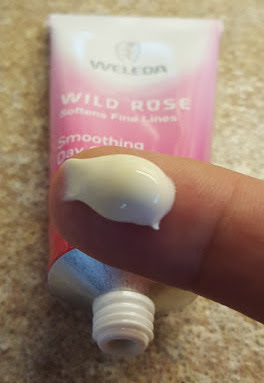 Rose is a smell I rarely get to enjoy (even with actual roses), but the Weleda Wild Rose scent is not heady, it's light and sweet and the florals are actually quite subtle. The Wild Rose Cream Bath is a real treat. Relaxing and soothing, a couple of capfuls in the bath leaves you so calm and relaxed, it's like therapy for your poor tired aching limbs. The Bath Cream moisturises your skin without leaving it feeling oily. The smell is light and sweet, and lingers for a good while. It also cleans out of the bath easily! The Smoothing Day Cream is very light and soft. It sinks instantly into my skin, leaving a soft glow and a smoother texture without any tightness or greasiness. The smell is very light and not invasive, and despite the inclusion of essential oils, it doesn't make me dehydrated. 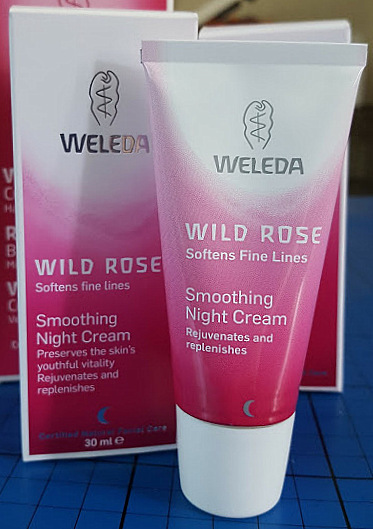 The Smoothing Night Cream is, as you'd expect, a slightly thicker cream, but even so it sinks into your skin really quickly. 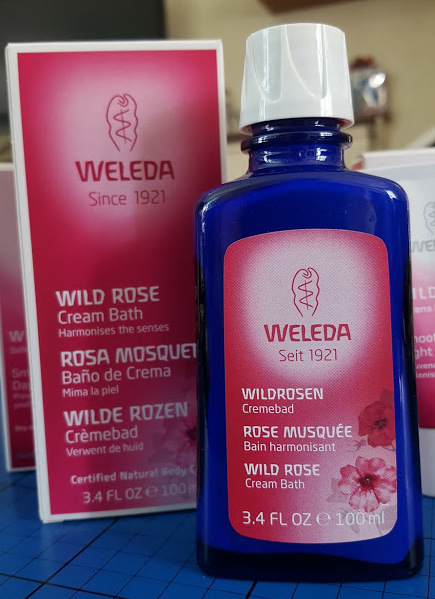 The Wild Rose range is best suited to people showing the first signs of aging in their 30's, but the results on my 45 year old skin are very good. Again the smell is not heady or over-powering, it's gentle and relaxing. I certainly feel my wrinkles are lessened and my skin looks smoother and glowing. I've had 2 friends comment this week on how lovely my skin looks - you can't ask for more really! 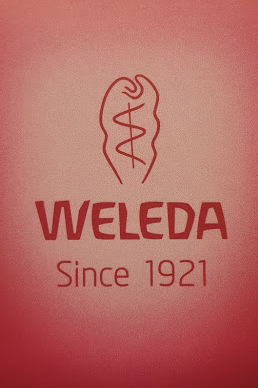 I'm delighted to say that the Weleda Skin Care has not let me down. I'm really pleased with the results, and enjoying the benefits of the relaxing nature of the included essential oils. Often at this time of year my skin really suffers with the cold and wind, but at the moment I have no dry patches and my skin feels great. You can find out more about Weleda and their huge range of products for skin, hair, body, teeth and baby, as well as their extensive Healthcare range, on the Weleda Website.